Notes: This interview was first published in July 2010. 1. What is the essence of Fire Emblem? Iwata: Today, I am meeting with the people from Intelligent Systems (1). Thank you for coming. Everyone: It’s a pleasure to be here. 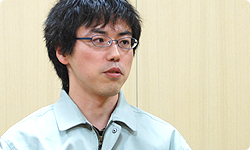 (1) Intelligent Systems: A Kyoto-based developer responsible for the Fire Emblem and Paper Mario series, among others. They have also created system tools for successive generations of Nintendo platforms. (2) (Fire Emblem) Shadow Dragon: A strategy RPG released for the Nintendo DS in August 2008. The 12th game in the series. 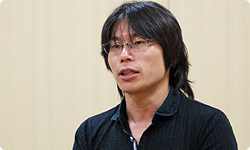 (3) Sakurai (Masahiro)-san: The director of the Kirby’s Dreamland and Smash Bros. series. After leaving Hal Labs, he produced Super Smash Bros. Brawl for the Wii. Currently he is working on Kid Icarus: Uprising for the Nintendo 3DS. Editor’s note: It seems they count the BS Satellaview Fire Emblem episodes as the 5th title. Iwata: Well then, first off, could I ask all of you to introduce yourselves, and to tell us about your involvement in the series? Narihiro: Yes. My name is Narihiro and I’m in charge of overseeing the Fire Emblem series. I’m a member of staff that’s been watching over the series till date. Iwata: If I recall correctly, weren’t you a programmer for the original Fire Emblem for the NES (4)? Narihiro: Actually, for the very first Fire Emblem, I wasn’t a programmer. Instead I participated in the development of the game as an observer of sorts. Before that, I had been in charge of programming for Nintendo Wars (5). After it was finished, we decided that we should make use of the game’s simulation system. We thought that by adding storytelling to the formula, we could offer a considerably different form of entertainment to the players. That’s how the development of the original Fire Emblem began. Later, with Mystery of the Emblem (6) for the Super NES, I became a full-fledged member of the team, and have been one ever since. 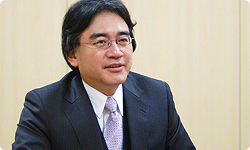 Iwata: As a matter of fact, could one say that there is no title in the series in which you have not been involved with? Narihiro: Although I wasn’t directly involved with the development of the second title, Gaiden (7), I did hear about all the hardships the staff were going through with that game. I think it’s fair to say that I have been a part of the series’s history from the very beginning. (4) Fire Emblem for the NES: The first game in the series, Fire Emblem: Dragon of Darkness and Sword of Light: A strategy RPG game released for the NES in April 1990. (5) Nintendo Wars: A strategy game released for the NES in August 1988. (6) Mystery of the Emblem: A strategy RPG game released for the Super NES in January 1994. The 3rd game in the series. (7) (Fire Emblem) Gaiden: A strategy RPG game released for the NES in March 1992. The 2nd instalment in the series. Iwata: How about you, Higuchi-san? Since when have you been involved with the series? Higuchi: I started working for Intelligent Systems in 1994, and joined the development staff of Genealogy of the Holy War (8). Since then, I’ve been participating in the development of the games primarily as a designer. For this game, Heroes of Light and Shadow, I’ve been working as Project Manager, handling the overall progress made on the game and forwarding my suggestions about the scenario, graphics etc. to the director. (8) Genealogy of the Holy War: A strategy RPG released for the Super NES in May 1996. The 4th game in the series. Iwata: So, since joining Intelligent Systems, you’ve been devoted to Fire Emblem? Higuchi: Well, among other things, I have worked on the Nintendo Wars series in between Fire Emblem games. I guess you could say that I’ve been involved in Intelligent Systems developed simulation games in one way or another. Iwata: In that sense, your career resembles Narihiro-san’s, doesn’t it? Iwata: (laughs) Yes. So, how about you, Maeda-san? 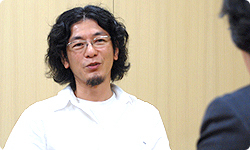 Maeda: I’ve been involved since Sword of Seals (9) for the GameBoy Advance. I’ve mainly been involved with planning and writing the scenario. With this game, I’ve also taken the role of the director. (9) Sword of Seals: A strategy RPG released for the GameBoy Advance in March 2002. The 7th game in the series. Iwata: So you’ve been involved since the GBA days. Before that, were you perhaps in touch with the series as a gamer? Maeda: That’s right. I was a hard-core fan. Iwata: Maybe you wanted to join the company who made the games because of your intense admiration for the series? Iwata: And you’ve played every game in the series after that as well? Maeda: It wasn’t that I played each one right after they were released, but I did get around to playing every game eventually. Iwata: Well then, next I’d like to ask each of you what you feel is the essence of Fire Emblem. Let’s start from the youngest. So far, in different ‘Iwata Asks’, we’ve talked about ‘the essence of Mario ‘ and ‘the essence of Zelda ‘. Now I’d like to hear what you think, Maeda-san. Having been a fan of the series for a long time now, if you were asked to give us the defining elements of Fire Emblem, what would you say? Maeda: I think one of them is how you get attached to your characters, and the joy you derive from training them. Another is how you have to use your head to defeat your enemies–and the feeling of satisfaction you get when you’ve managed to skilfully beat them. When these two aspects are combined well, that is when a game can be called Fire Emblem. Iwata: Do you feel that there aren’t many games out there that unite these two factors the way Fire Emblem games do? Maeda: I think so. There are probably games that manage to do either one exceptionally well. When it comes to strategy gameplay, there is the Nintendo Wars series, and as far as fostering attachment to the units you’ve raised, RPGs and such seem to do it well. I think having both of these factors in good balance is something that is characteristic of this series. Iwata: Certainly, in the Fire Emblem games, many charming characters make their appearance and there is also the RPG-like element of storytelling. It was probably Fire Emblem that first united all these elements into the strategy genre. However, after this kind of game has been introduced to the world, the same formula has been tried out in many other similar games. In what way do you believe Fire Emblem’s position to be unique among them? Maeda: I think it’s the fact that when your comrades fall in battle, they never rise again. Iwata: Yes, it’s certainly very ‘Fire Emblem-like’ that you can never meet them again. We’ll talk about that aspect in much more detail later. (laughs) Do you feel that there are no other games out there with this gameplay style? Maeda: I think so. When you are aware that you can lose your characters forever, it strengthens your empathy towards them. It’s a factor that heightens the feeling of tension when you are playing the game. Iwata: Back when you enjoyed the series as a gamer, did you often press the Reset Button? Maeda: Yes, I used it a lot. (laughs) Of course I wanted my precious allies to stay with me until the end. When I lost a comrade due to unforeseen circumstances, I’d press Reset and start the chapter from the very beginning. Iwata: Moving on, how about you, Higuchi-san? What do you think about the essence of Fire Emblem? Higuchi: Actually, the discussion ‘What is the essence of Fire Emblem?’ sometimes crops up within the development team as well. However, opinions on this are scattered. While some people say that ‘story is number one’, others feel that the most important thing is to feature lots of characters. At the same time, some say that it’s the tactical gameplay typical of simulation games that makes the games entertaining. If you ask me, what makes the games fundamentally interesting is again the fact that you can’t revive your fallen allies. I think this aspect expresses the weight of human life. Iwata: So the same as Maeda-san. Higuchi: Yes. It’s because your dead comrades never return that you grow strongly attached to them. For example, when one of your units dies, you get to hear their last words and you think, ‘Oh this is what he’s thinking…’ Through the games you can feel this kind of drama. It makes you play the games under a lot of tension, thinking, ‘I can’t let them be defeated here’ or, ‘if he dies, I’m starting from the beginning’. And when you finally manage to complete the game together with your valued comrades, you really feel gratified. I think this is the real thrill distinctive to Fire Emblem.